Got nothing planned this weekend? 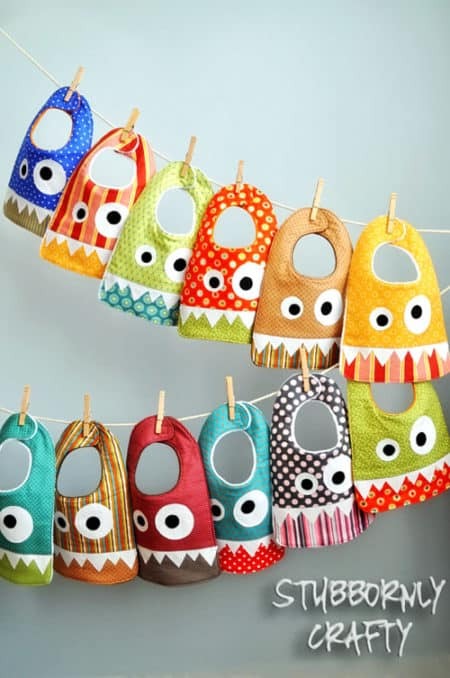 These cute things to sew might just be the ticket to turning that boring weekend into something productive and fun! 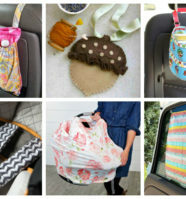 We’ve gathered here a smorgasbord of the cutest things to sew – from plushies, purses to dishtowels and bubble dresses. 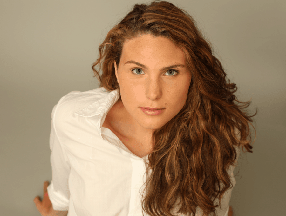 Flex those sewing muscles and sew, sew, sew! 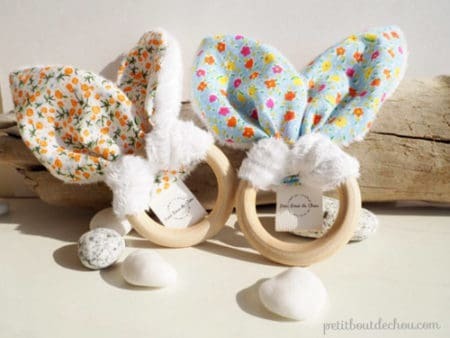 Follow these simple steps to create your own baby toy using soft minky fabric and cotton. 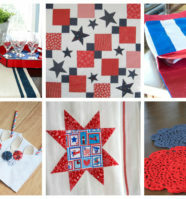 You can try many different types of minky fabric and cotton patterns. 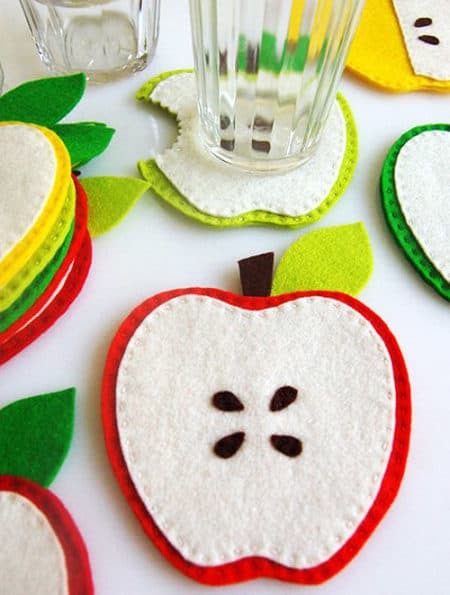 This is the perfect way to use up scraps! 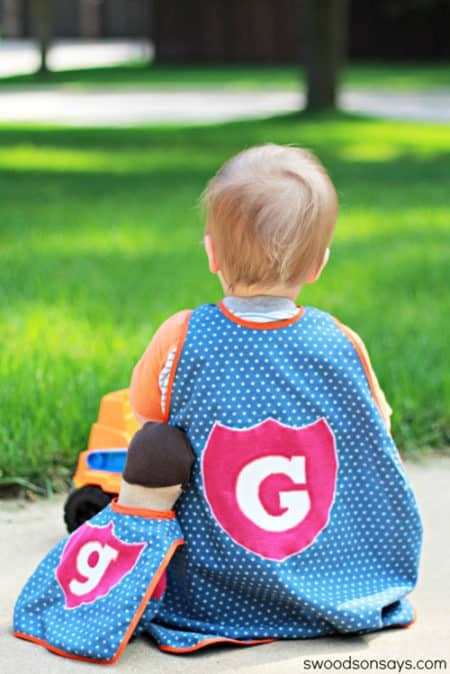 This cape measures 10″ long and will work for a variety of sized dolls or stuffed animals, from roughly 8″-14″tall. This baby dress has the sweetest bubble hem, and the shoulder straps are adjustable so that it can grow with your child. If you’re looking for an easy gift idea for Valentine’s Day or any holiday really, these ribbon bookmarks could be the perfect choice. 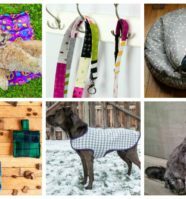 Not only are they an easy sew project that can be done with a sewing machine or by hand, but they are pretty cheap to make, too. You can finish it off with snaps or velcro. 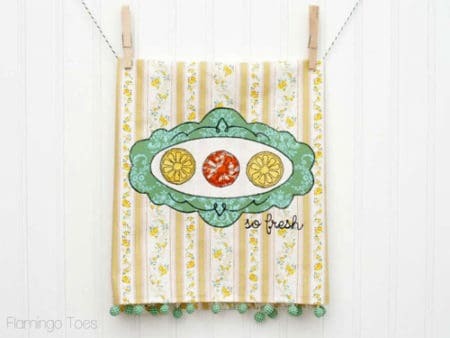 The finished bib measures 8.5″ wide by 13″ tall. The minions have invaded! 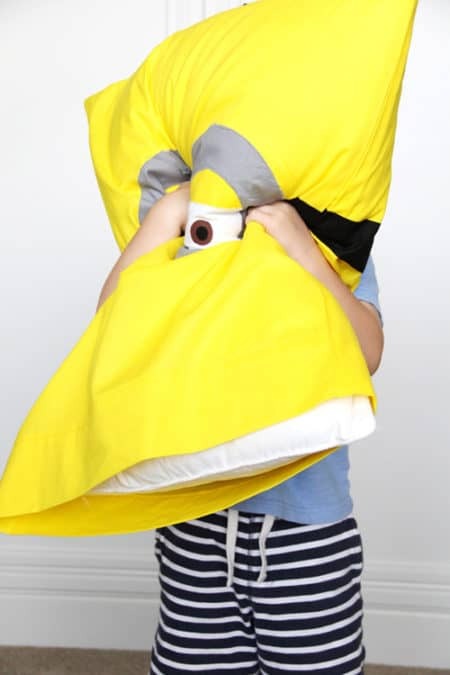 Ever since Despicable Me first aired, kids (& some adults) everywhere can’t get enough of them – whether yellow or purple! It’s decorated with a cute little lemons and an orange embroidered on with a combination of free-motion and a little zig zag stitching. Super fun to do. 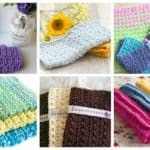 I think it would make a fun housewarming or shower gift too! 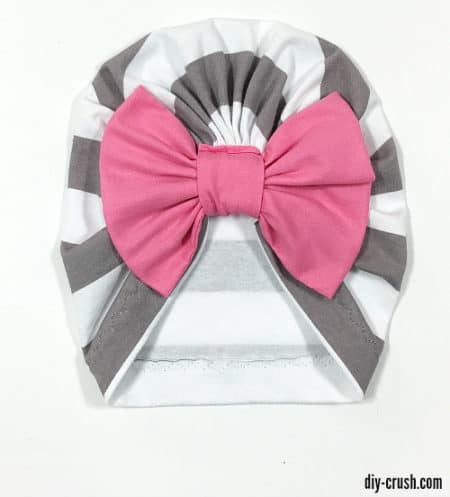 This adorable baby bow turban beanie pattern is for newborns and fits up to about 3 months. 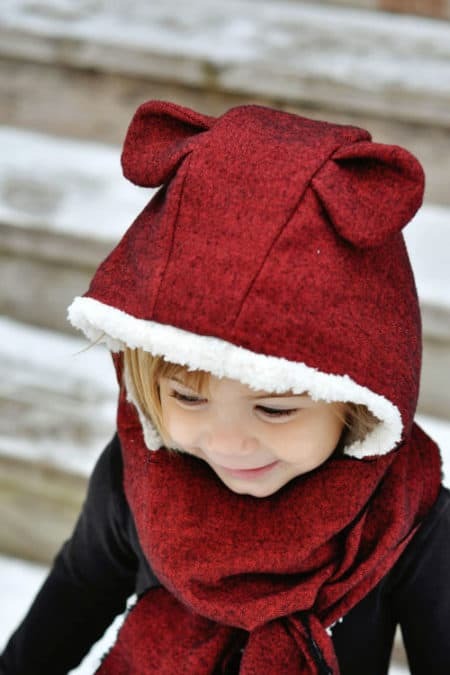 This beanie looks so sweet and is made from soft knit cotton fabric. The bow is optional. 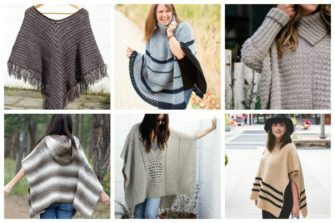 They are a total breeze to make, no fancy stitches or skills required. For this season’s version, we chose our favorite reds, greens, and yellows for our new 100% wool felt Apple Bundle. I just love the way they look all together, so fresh and bright! 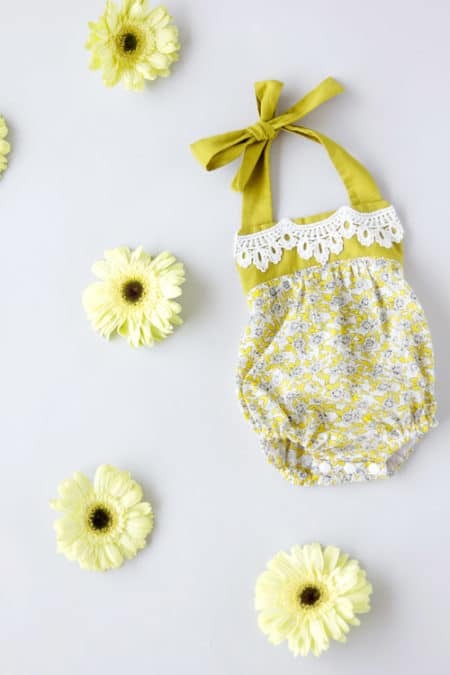 This romper/sunsuit is quick to sew, believe it or not.The crotch has snaps for easy diaper access and the cute gathered front, back and legs might burst your ovaries. 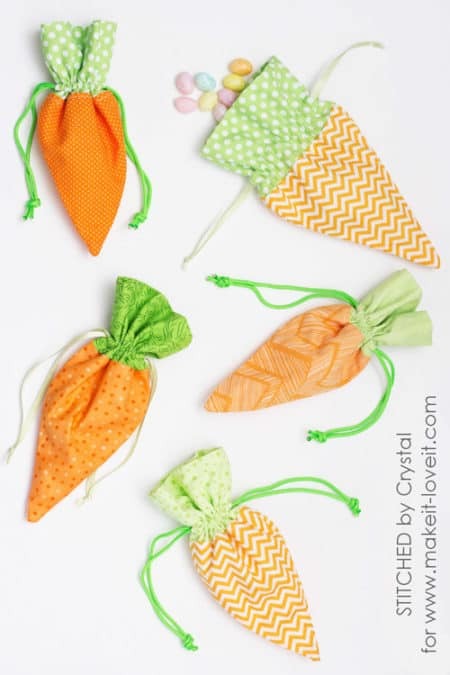 These little pouches are a quick sew and don’t take much fabric at all. 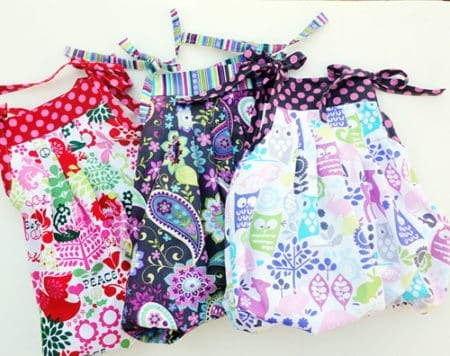 If you have never sewn a zippered pouch before, it is really easy, and fun… you will want to make six of them too! 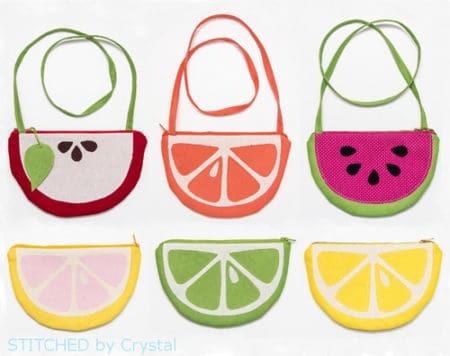 And any little girl in your life will love a fruity purse, or sew one up for you! 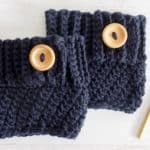 Here is a quick little-hooded scarf project that will help keep your little ones warm and stylish for the winter season! 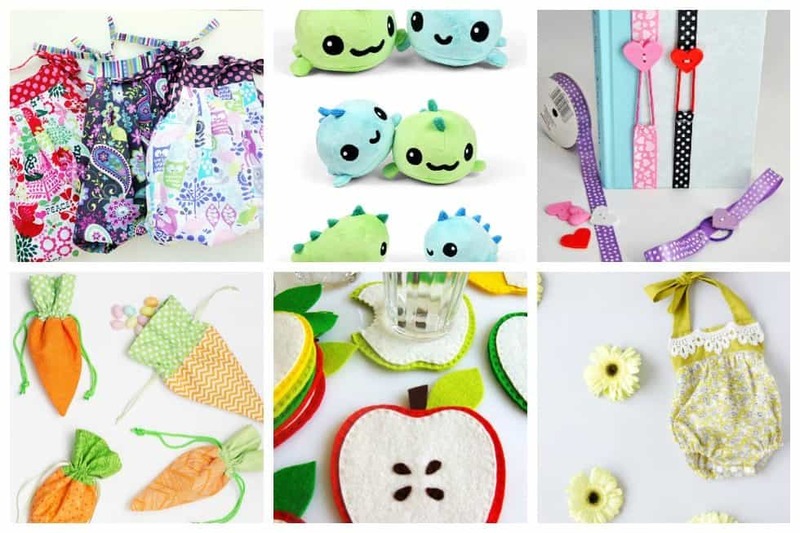 Did you find our choices for things to sew actually cute? 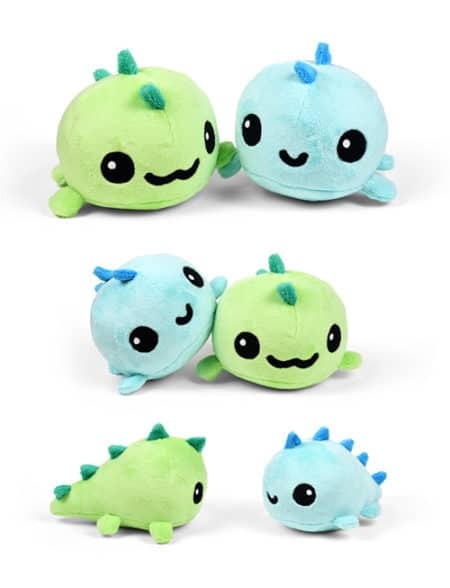 Won’t these be perfect for giveaways or gifts? Not too difficult and made with love!